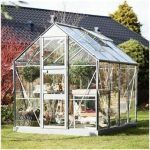 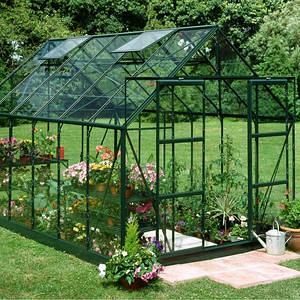 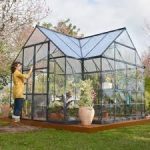 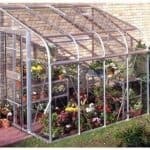 This is a smart and traditional greenhouse which is a fair size. 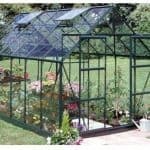 It is constructed out of hard wearing and durable aluminium which is coated in green and it has toughened glass panels. 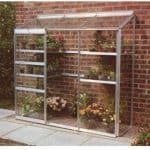 There is plenty of good ventilation and temperature control so your plants, seedlings, fruit and vegetable are all well protected from the elements. 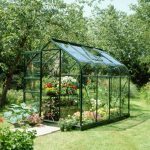 This is an excellent choice for gardening enthusiasts everywhere and it comes home delivered with base.